Fall Creek Inn & Suites is located in Branson, Missouri and is within one mile of Branson Craft Mall. 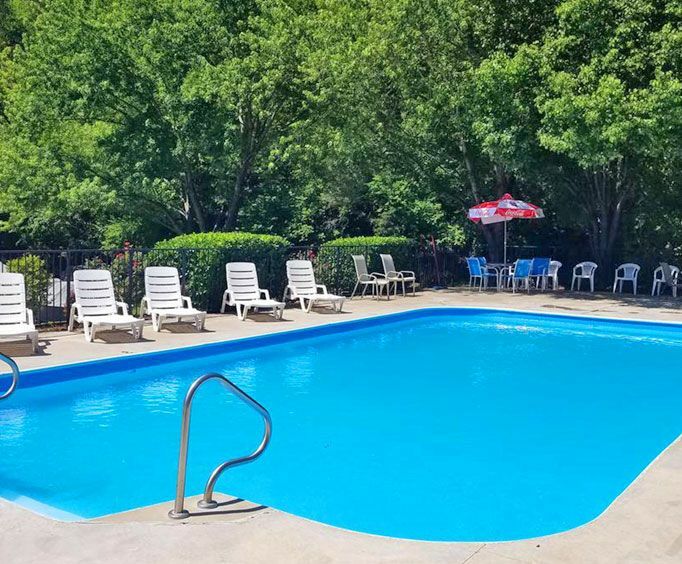 The hotel features an outdoor pool, complimentary buffet breakfast, and a wonderful picnic area that is complete with barbeque grills. While staying at this lovely hotel, guests can enjoy golfing, kayaking, waterskiing, parasailing, snorkeling, scuba diving, boat tours, Segway rentals, zip lining, and hiking/biking trails. Step into this hidden gem located in the Ozarks and experience amazing customer service and beautiful scenery. Guests are treated to spacious and modern rooms that are clean and comfortable. Each day can be started with an amazing breakfast that includes pancakes, waffles and fresh fruit. Enjoy lunch and dinner without ever leaving the quaint and beautiful location, the hotel features 2 on-site restaurants. Dine on local cuisine at either Fall Creek Steakhouse or Danna's BBQ. Step outside and be amazed at the wonderful and scenic beauty of the area. 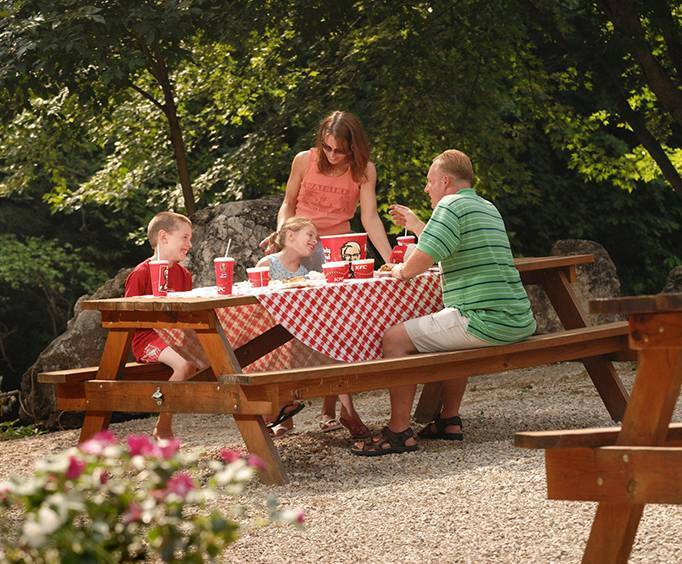 Enjoy use of the picnic tables and grills set in the best spot, next to the small creek that runs through the property. Guest room amenities include room access via exterior corridor, blackout drapes, air conditioning, free toiletries, daily housekeeping, free local calls, high speed internet, free cribs, and a private bathroom. 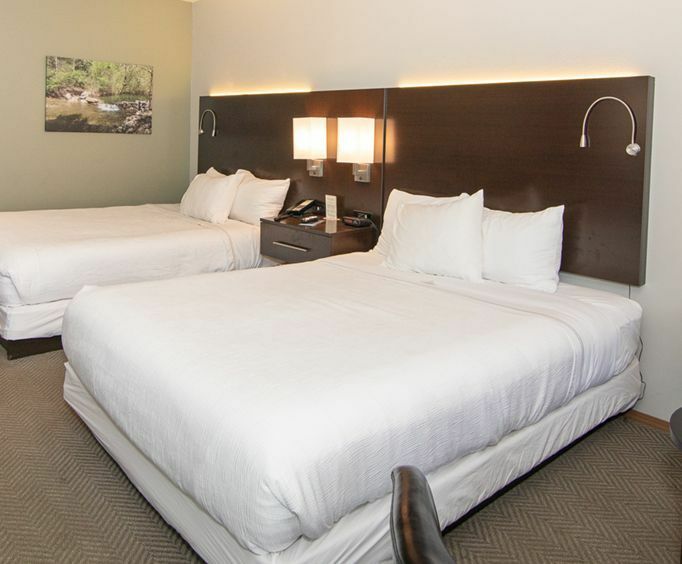 Hotel amenities include free newspapers in lobby, coffee/tea in common areas, designated smoking areas, free self parking and large vehicle parking, laundry facilities, and assistance with tickets for local attractions. The hotel's ideal location makes it easy for guests to visit nearby local attractions including New Shanghai Theater, Branson Central Theatre, Titanic Museum, Hollywood Wax Museum, and Branson Murder Mystery. Dining options near the hotel include Shogun Japanese Steak & Sushi and Fajitas Locos Mexican Food.